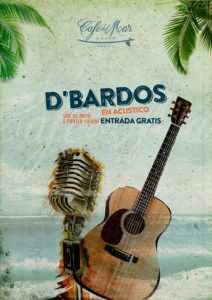 This Saturday 5, d’Bardos in concert! Swing and much more for this beautiful afternoon of May! #cafedelmarbeach #LosConciertosDelBeach #Tarifa #TarifaBeach #Holamayo #Musica #Sunset – at Café del Mar Beach Tarifa.